As he usually does every Christmas holiday, President Obama chose to come back to his roots here in Hawaii. I always love to hear about where he goes — what kinds of things can impress the President?! This year, President Obama chose to visit one of my favorite places, Shangri La, Center for Islamic Arts and Cultures, located at what used to be the Honolulu home of American heiress and philanthropist Doris Duke. It’s one of the most fascinating places you’ll find on Oahu, not only because of the idyllic setting on the ocean, but also because the art housed there is some of the most unique and impressive in Hawaii. In the late 1930s, Doris Duke built Shangri La in Hawaii on five acres overlooking the Pacific Ocean and Diamond Head. The home itself is a work of art, but it’s the art collection inside that’s the most fascinating. Doris Duke collected Islamic Art for nearly 60 years, and visitors are often amazed at the sheer quantity of pieces and collections. 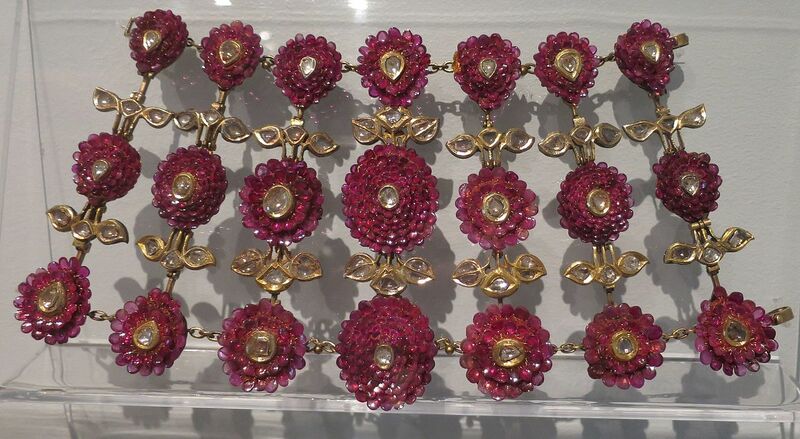 This elaborate bracelet from India is just one of many pieces on display at the Doris Duke Estate. According to the Honolulu Museum of Art website, the first purchases were made in 1935 when Duke was 22, and the last major piece was acquired in 1992, a year before her death. Numbering approximately 2,500 objects, the collection includes works of art from Spain, Morocco, Egypt, Syria, Iran, Central Asia, India and parts of Southeast Asia. The collection ranges from items of the finest artistic quality, including medieval Persian tilework and painted interiors from eighteenth- and nineteenth-century Damascus, to ethnographic objects such as leather saddles and a bedouin-style tent, reflecting Duke’s broad and inclusive sense of aesthetics. Tours originate at the Honolulu Museum of Art where visitors begin their experience with a tour of the museum’s Arts of the Islamic World Gallery and a ten minute introductory video on the history of Shangri La. 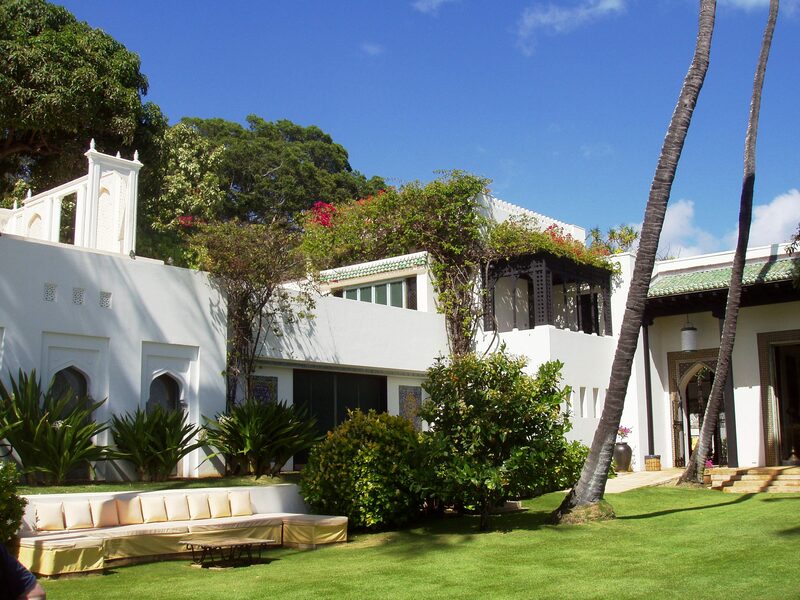 The Doris Duke Estate,Shangri La, is located in Oahu's luxurious Kahala-Diamond Head neighborhood. Visitors will have the opportunity to learn about Islamic art through objects and architectural elements originating from the Middle East, South Asia, Central Asia, and North Africa. They will also enjoy stunning exterior views of Diamond Head and the Pacific Ocean. Upon completion of the tour, visitors return via shuttle to the Honolulu Museum of Art. Book a tour online. (transaction fee: $1.50 per ticket). Walk-in reservations can be made: Tuesday-Saturday, 10am-4pm Hawai‘i Standard Time. Shangri La in Hawaii is a bit “off the beaten path” for most visitors focused on outdoor activities, such as stand-up paddleboarding, surfing, and parasailing. But, the center is well-worth a detour after a week full of excursions. But, book your reservations early, as the openings fill up fast!